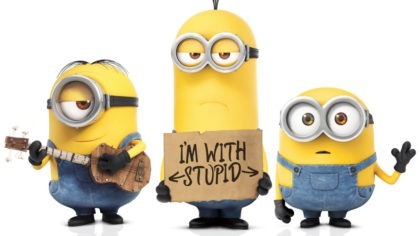 Download Despicable Me free podcast from Fun Kids! Hear us chatting to Steve Carell, Kristen Wiig and more of the film's stars! Despicable Me 3 is coming to cinemas this summer on 30 June 2017! You can watch the trailer right now by clicking here and you can hear us chatting to loads of the stars from the films, including Kristen Wiig and Steve Carell on our Despicable Me podcast! Click here to get Despicable Me podcast on iTunes! You can subscribe to the Despicable Me podcast channel for FREE on iTunes by clicking here and then whenever we chat to someone new, you’ll be notified!